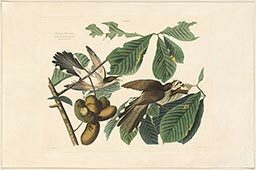 What does an Audubon print "part number" signify? 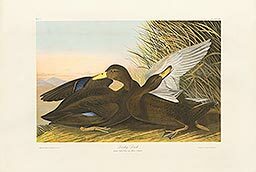 | Joel Oppenheimer, Inc.
All original Audubon prints were issued by subscription. A part number is different than a plate number. 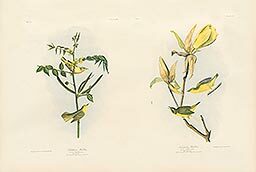 Each group of prints issued was given a part number. 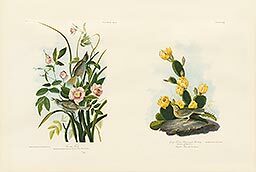 Each print in that group has an individual plate number. Audubon Havell prints were issued 5 at a time (435 plates in 87 parts). 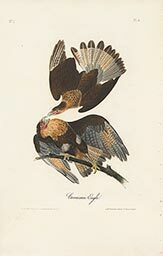 Audubon royal octavo prints were issued 5 at a time (500 plates in 100 parts). 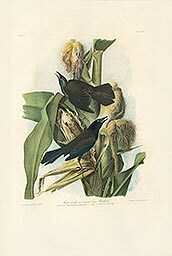 Audubon Bien prints were issued 10 at a time on 7 sheets of paper (150 plates on 105 sheets in 15 parts). 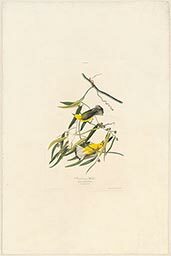 In fact, all of Audubon's works were sold by subscription. 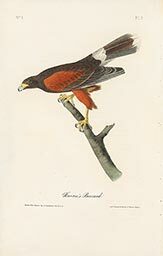 Every print from the Viviparous Quadrupeds of North America, the royal octavo edition of the Birds of America, the Havell edition of Birds of America, and the Bien edition of Birds of America was issued in parts. 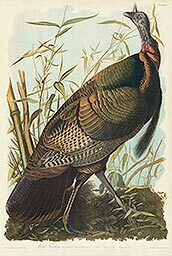 The part number is always the number at the top left corner of the print. 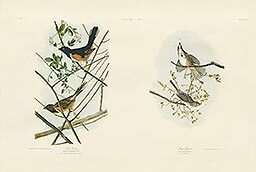 Each Audubon print also has a plate number at the top right corner. The plate number is different than the part number. 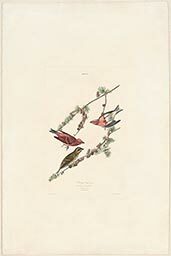 The plate number is the individual identification number a single Audubon print, while the part number signifies the group of plates that were issued together. 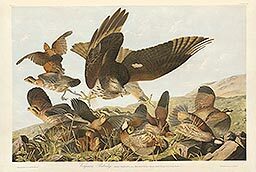 In an effort to impress his clientele for the Havell edition, Audubon paced out the largest, most impressive images from the Birds of America to ensure one was included with each part, thus the prints are not presented in phylogenetic order. 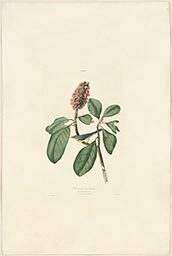 When Audubon released the miniature Birds of America in the royal octavo edition, the birds were re-arranged into phylogentic order, so genetically similar birds were presented together. 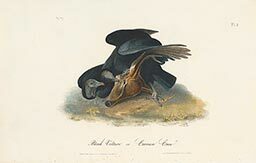 In this example, we see Vultures and Buzzards. 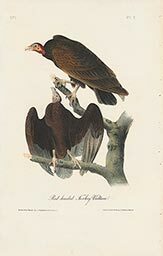 In the second double elephant folio printing of the Birds of America, the plate numbers from the royal octavo edition were retained, but the parts were rearranged again to present with 2 impressive large prints, 2 medium-sized prints, and 6 small prints, printed 2 plates per sheet. 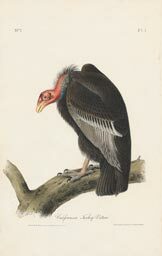 Thus, the plate numbers do not follow in the Bien edition.